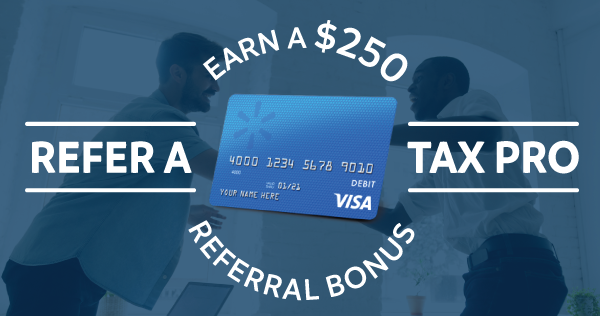 If you are a Santa Barbara Tax Products Group (TPG) client and you refer another tax pro to TPG, you can earn $250 for every tax pro that switches from their current bank to TPG. So if you refer 10 tax professionals to TPG you can receive $2,500 (10 x $250). 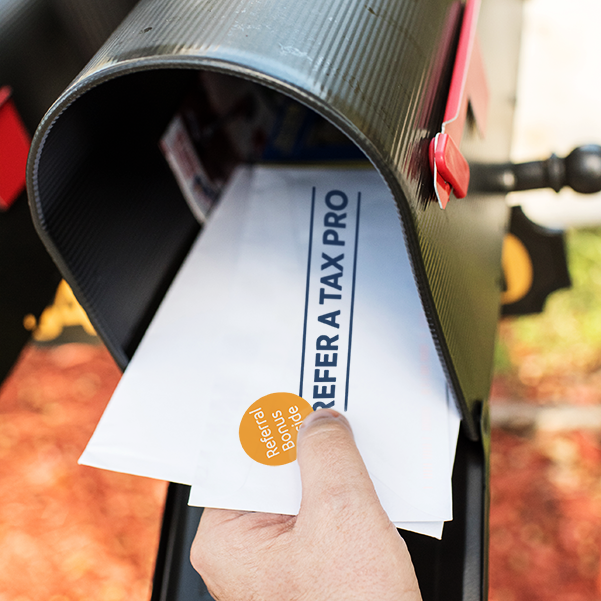 No limit on what you can earn - receive $250 for every qualified tax pro that switches to TPG. 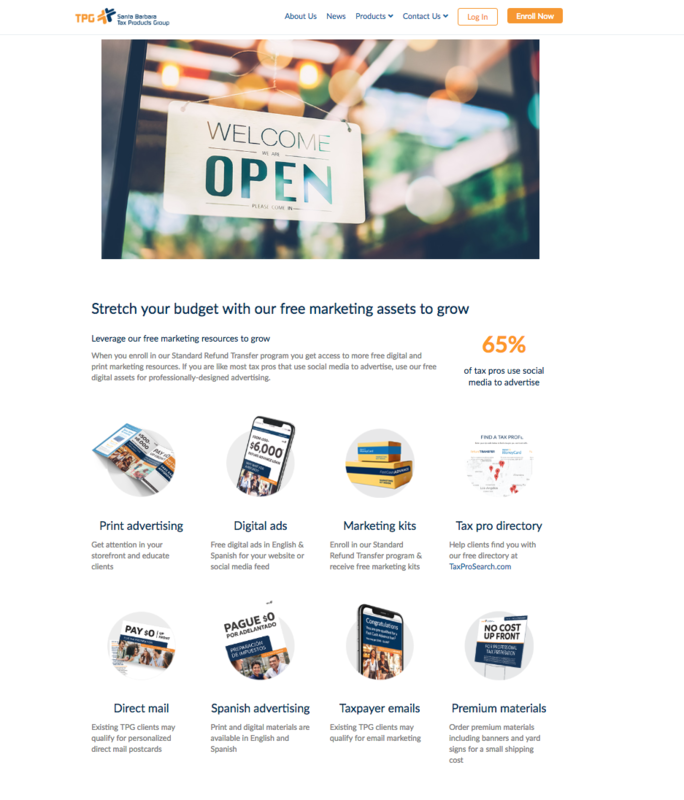 Get an end of season bonus - cards issued June 1st, so you have money for vacation, next year's software purchase or?? This promotion has ended. Thanks to everyone that participated! Receive your gift cards in the mail. Why make the upgrade to TPG? If your colleagues aren't sure why they should make the upgrade to TPG, this article will help inform their decision. See how our Standard Refund Transfer program helps tax pros grow. * Application for referral bonus must be received by February 1, 2019. Applicant must be active client of Santa Barbara Tax Products Group (TPG) during 2019 calendar year. 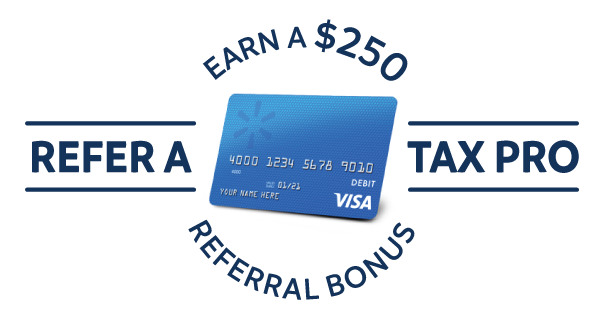 Referred client must be active during 2019 calendar, enrolled in our Standard Refund Transfer program with 100+ funded Refund Transfers to qualify for $250 incentive. Referred client cannot be existing TPG client that used TPG during 2018 calendar year. 2019 Refund Transfer volume calculated on May 1, 2019. $250 Walmart MoneyCard gift card issued June 1, 2019. If applicant submits multiple referrals, all referrals will be loaded to a single gift card.